4 easy diet and exercise steps! 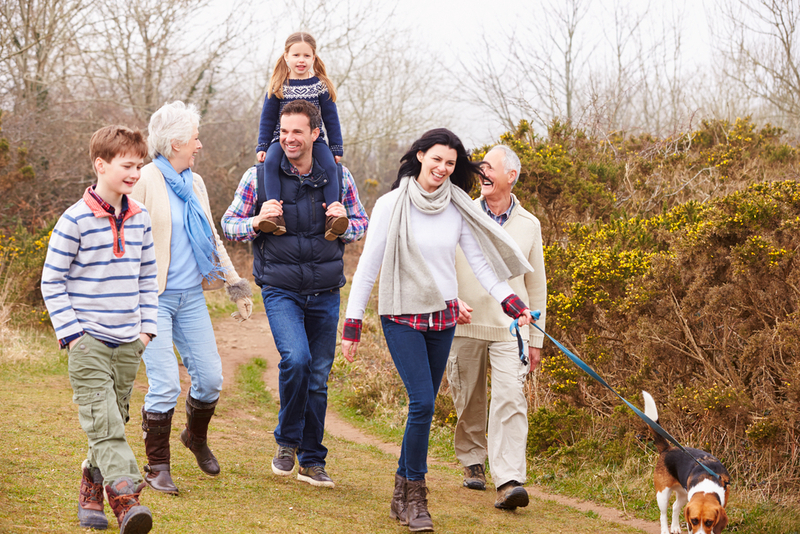 Be a better role model for your family with these 4 easy diet and exercise steps. The old saying of ‘monkey-see, monkey-do’ rings true for almost all aspects of parenting, and it’s particularly apparent in food preferences and eating behaviour. Whilst we have some innate characteristics to preference certain flavours (like salt and bitterness), many of our likes, dislikes and habits are formed through environmental influences – that is, the way we grew up. The review article Influence of parental attitudes in the development of children eating behaviour found that “parents create environments for children that may foster the development of healthy eating behaviours and weight”. They went on to discuss not only the importance of healthy food options, but also how parental attitudes towards weight, eating, exercise and health can affect a child’s eating behaviours, attitudes and beliefs. And, that the development of habits in childhood will carry on into adulthood, which can have a profound effect on chronic disease risk, including heart disease and diabetes. It doesn’t have to be Le Cordon Bleu 7 nights a week, but throwing together a simple meal with plenty of veggies can be the first step to improving a family's eating habits. When we cook at home we tend to have lower total calories and increase our vegetable intake, then when we eat takeaway or restaurant food. Involving the family in preparing meals can build nutrition knowledge and interest in the meal that is being prepared. It’s cheaper too! In the article The significance of home cooking within families, found more benefits to cooking at home. As well as being able to control the food supply and nutritional value of your food at home, you're able to connect with your family in a social and cultural way too. Cooking at home can also improve the independence of your teenagers. So why not ask them to get involved or be in charge of making dinner one night a week! If you have diabetes, here's a great article that we've written on easy tips to reduce your carb content, but still make delicious meals the whole family will love! Sitting together at the table allows communication and can assist with modelling good mealtime behaviours. Eliminating distractions such as televisions and devices whilst eating can amplify the benefits of dinnertime at the table, and actually improves our ability to respond to hunger and fullness cues, so we are less likely to overeat. The American study Television Watching and Frequency of Family Meals Are Predictive of Overweight Onset and Persistence in a National Sample of School-Aged Children found that kindergartners who watched TV during dinner time, were more likely to become overweight by the time they reached third grade. Numerous studies and systematic reviews have found examined the long-term impact of overweight and obesity in childhood and adolescence on morbidity and premature mortality in adulthood. For example, children and adolescents who are overweight or obese, are at a significantly increased risk of developing diabetes, hypertension, heart disease, and stroke. They are also at an significantly increased risk of requiring later disability pension, and developing asthma and symptoms of polycystic ovary sydrome. This is why it's important to be a good role model for your children now, as you'll be impacting their health in the future. Whether it’s a ball game, trip to the park, or muck around in the backyard, an hour or two outside will make big changes. This helps to limit screen time and gets everyone moving. The amount of screen time children are exposed to directly relates to their weight, so aim for less than 2 hours a day. The benefits of getting outside, is not just to improve the physical health of you an your family, it can also have positive effects on mental health. The study Outdoor play and nature connectedness as potential correlates of internalized mental health symptoms among Canadian adolescents, demonstrated that spending time outdoors can be protective to your childs mental health. Familiarity is key to increasing variety in the diet, so the more time children are exposed to certain foods, the more likely they are to eat it. While forcing a child to eat an unfamiliar or disliked food is not recommended, familiarity (having it on the plate or as a choice on the table) may actually inspire inquisitive little minds to have a go! For these tips to work, small changes and sticking to them are key! Remember, it’s not the drastic dietary intervention that is going to make the biggest difference, but small frequent changes which set up good habits for life. Yo-Yo Dieting – More serious than just gaining weight! The “Diabetic Diet”: When did it begin and how has it change? Should I follow a low carb diet if I have diabetes? Is fruit juice good for you if you have diabetes or prediabetes? Our sneaky metabolism at work – What is adaptive thermogenesis? © 2019 My Health Explained by Sultan Linjawi.